Can there be anything new in scientifiction? We say yes — and offer CAPTAIN FUTURE. 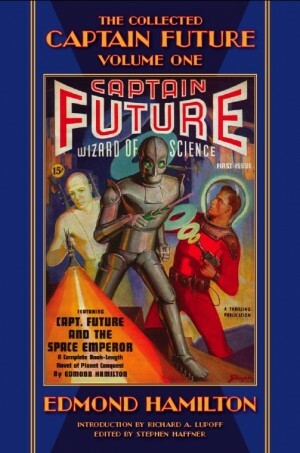 Fellows, CAPTAIN FUTURE is tops in scientifantasy! A brand new book-length magazine novel devoted exclusively to a star-studded quartet of the most glamorous characters in the Universe. And the most colorful planeteer in the Solar System to lead them — CAPTAIN FUTURE. You’ll find Captain Future the man of Tomorrow! His adventures will appear in each & every issue of the magazine that bears his name. CAPTAIN FUTURE will appear at all newsstands in a few weeks. Price, 15 cents. 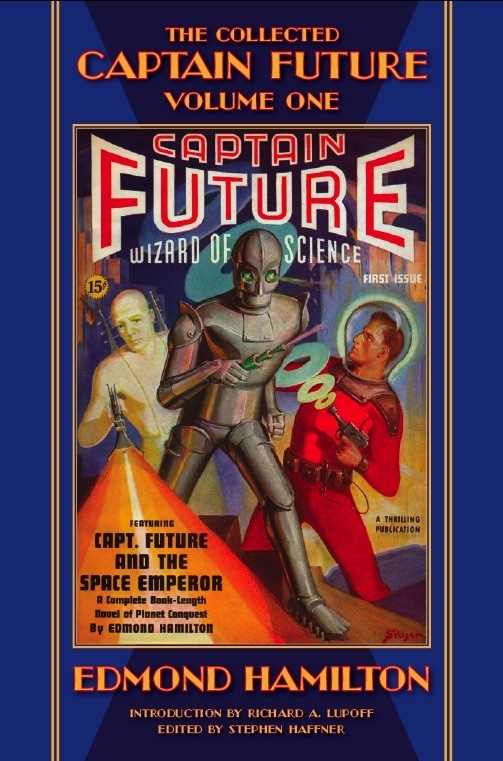 First issue features Edmond Hamilton’s novel, CAPTAIN FUTURE AND THE SPACE EMPEROR. Cover by Rozen. Illustrations by Wesso. Short stories by Eric Frank Russell and O. Sarri. Brand new departments — THE WORLDS OF TOMORROW, THE FUTUREMEN, UNDER OBSERVATION, and THE MARCH OF SCIENCE.